You’re reading novel Chaotic Sword God Chapter 468 - Retreat of the Huang Family online at LightNovelFree.com. Please use the follow button to get notification about the latest chapter next time when you visit LightNovelFree.com. Use F11 button to read novel in full-screen(PC only). Drop by anytime you want to read free – fast – latest novel. It’s great if you could leave a comment, share your opinion about the new chapters, new novel with others on the internet. We’ll do our best to bring you the finest, latest novel everyday. Enjoy! “Correct, I’ve taken the items within.” Jian Chen didn’t hesitate to speak without any complaint. Although he was against five Heaven Saint Masters, he wasn’t afraid. “Then there’s nothing else worth talking about. Everyone, let us kill him for the sake of our mission. The reputation of our Huang family cannot be harmed by something like this. Otherwise, if our patriarch finds fault, who will take the blame?” One of the men spoke. At the mention of their patriarch, the other four men showed startled looks on their faces—they must be afraid of him. “Absolutely not. Jian Chen is a friend to our Huang family. If you continue to act in such a way, then the patriarch will definitely find fault within us. Our Huang family is not a family that would commit such an ingrat.i.tude to a friend.” Elder Feng spoke harshly. “Elder Yun, elder Feng, you two need not try to frighten me. I’ve already said before, the young miss may not be speaking the truth.” The middle-aged man a.s.serted his thoughts without relenting. “Huang Junran, Huang He, what are your thoughts on this matter?” Elder Feng asked the two other impartial men. “We don’t require much, just the Saint Ruler’s skeleton will do. A single Saint Ruler’s Skeleton at the Fifth Layer is something that our patriarch has a great use for.” Elder Huang He spoke. If they could bring back the skeleton, the strength of their patriarch would increase several times over—while the rest of the items in it were essentially dispensable. Their Huang family had a clear idea of how strong the Saint Ruler who had lived in the cave along with what his ident.i.ty was, so they didn’t think that there would be any other item worth their notice. “Jian Chen, you should learn to accept a toast when it is given to you. Don’t think that becoming the King of Mercenaries has given you power beyond belief. To the Huang family, if we want to kill you, it would be as easy as squas.h.i.+ng an ant.” The middle-aged man spoke dangerously. “How shameful, you will die here!” The man’s temper was clearly quite bad. He became infuriated by Jian Chen’s stinging remarks. Immediately, he brought out his Saint Weapon and charged at Jian Chen. Jian Chen’s hand clutched at the empty air, causing a sword made of the fire element to materialize. With a wave of his hand, the sword immediately shot toward the middle-aged man with a sweltering temperature. With a loud shout, the man’s Saint Weapon came cras.h.i.+ng down on the fire sword causing an explosion. The fire sword was instantly disintegrated by the man’s Saint Weapon and gave a final burst of fire that dyed the area red. The middle-aged man did not falter in speed. His Saint Force continued to protect his body from the sea of flames as he quickly arrived in front of Jian Chen. His sword was ready to pierce Jian Chen’s chest. A layer of azure and violet light began to appear in Jian Chen’s right hand before forming a 1.3 meter long glow. Grasping the Origin Energy of the Sword Spirits, Jian Chen clashed weapons with the middle-aged man. There was a crisp sound as the middle-aged man’s Saint Weapon chipped away to reveal a jagged piece of the Saint Weapon fall to the ground. With his Saint Weapon damaged, the middle-aged man’s face suddenly blanched. A moment later, blood splattered out from his mouth. Hurriedly flying backward, the man looked at Jian Chen in utter surprise. The moment when the two men had clashed was observed by the four other men. When the middle-aged man’s sword tip had broke off, the other four couldn’t help but feel their heart’s leap widely. The startling azure and violet glows of light in Jian Chen’s hand were of an unknown energy to everyone. Jian Chen stared emotionlessly at the middle-aged man before speaking, “Fact of the matter is, if I wanted to kill you, it would be as easy as stomping on an ant. Right now, you have no chance of taking the Saint Ruler’s skeleton from me.” Despite being from the Huang family, the middle-aged man was trying to humiliate Jian Chen—there was no way he would easily forgive him. Huang Junran and Huang He hesitated for a moment. In the previous moment, they hadn’t thought of Jian Chen as anyone important. Although Jian Chen was a Heaven Saint Master, he was not a major threat to the Huang family. However, now that they had personally bore witness to Jian Chen’s Origin Energy and its might, they could no longer look at Jian Chen in the same light as before. The Origin Energy of the azure and violet Sword Spirits could easily damage a Heaven Saint Master’s Saint Weapon; that was an ultimate threat to their life. The tremendous power that Jian Chen controlled in his hand was enough for them want to not offend him or even go against him as an enemy. “Fellow elders, what are you hesitating about? Could it be that you don’t realize just how important the Saint Ruler’s skeleton is for our patriarch?” The middle-aged man urged them. He didn’t dare fight Jian Chen by himself. With that Origin Energy of Jian Chen, he was completely afraid of fighting him. “Elder Yan, I think that this matter should be discussed with the patriarch. Elder Yun and elder Feng are correct in their words. Jian Chen has done a favor for our Huang family, we cannot conduct such a behavior toward him like this.” Huang Junran suddenly spoke, clearly not willing to be an enemy of Jian Chen’s. “En, that is right. I have that notion as well.” Huang He spoke. The middle-aged man, now named elder Yan, had a disbelieving look on his face as he stared at the two elders. He quickly realized that both elders had a change of plans and he instantly swallowed the fury in his unwilling heart. If the two elders did not fight with him as a three man party against Jian Chen, there was no chance to win. If they didn’t join him and he continued to fight alone, then he would be no opponent for Jian Chen. In the end, he would be the only one to eat a loss. “Jian Chen, I, Yan Lie, will remember this.” The man spat out. With that, he didn’t even address the other four elders and quickly turned to leave the area. Huang Junran and Huang He left the area as well without a word, leaving both elder Yun and elder Feng behind. “If there is time in the future, I will most certainly come pay a visit.” Jian Chen cupped his hands together. “Hahaha, Jian Chen my friend, these words I will definitely convey to her.” One of the elders laughed. In the next moment, they both transformed into two bright light and disappeared into the sky. Watching the two elders go, Jian Chen had no thoughts of retaliating against the Huang family. 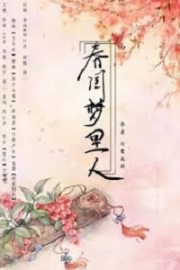 Not only did he have a connection with Huang Luan, but the Huang family was quite strong in power, and even Jian Chen feared them at this moment. This was because the Huang family had a Saint Ruler which would pose a problem to Jian Chen. In an instant, Jian Chen’s face took on a freezing cold glare as his eyes began to flash with killing intent. “Qiangan Kingdom, you truly do scheme so sinisterly. Fine, I will play along with you.” He muttered. You're reading novel Chaotic Sword God Chapter 468 - Retreat of the Huang Family online at LightNovelFree.com. You can use the follow function to bookmark your favorite novel ( Only for registered users ). If you find any errors ( broken links, can't load photos, etc.. ), Please let us know so we can fix it as soon as possible. And when you start a conversation or debate about a certain topic with other people, please do not offend them just because you don't like their opinions. You're reading Chaotic Sword God Chapter 468 - Retreat of the Huang Family. This novel has been translated by Updating. Author: Xin Xing Xiao Yao already has 11733 views. Current Time is Apr-21-2019 08:18:46 AM.